Suzi Lula is a much-sought-after Agape Licensed Spiritual Practitioner, Inspirational Speaker and #1 Best Selling Author of “The Motherhood Evolution: How Thriving Mothers Raise Thriving Children”. Combining her innovative teachings over her 18 years in private practice, along with her masters degree training in spiritual psychology, Suzi is transforming the way people think about Motherhood and Self Care. Known as a visionary leader, Suzi challenges conventional thinking that says mothers must sacrifice themselves to be good mothers. Mothers are the untapped Spiritual Powerhouse on the planet. When they thrive, their children flourish as well. Suzi is an expert in the field of human transformation and has created popular on line courses such as “Emotional Self Care”, “Learning the Language of Self Compassion” and “Self Care as a Spiritual Practice”. Suzi speaks and conducts workshops at spiritual centers and conferences across the country. She is a featured speaker along with Neale Donald Walsch at The Evolve Summit, hosted by New York Times Best Selling Author, Dr Shefali Tsabary. Suzi was honored by Centers for Spiritual Living with the “Professional Practitioner” Award. 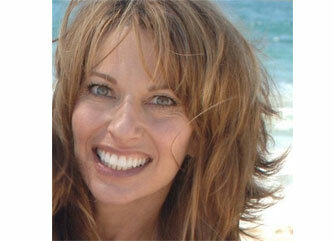 Suzi has enjoyed a full time, thriving practice since 1997. She has mentored some of the most successful ministers and evolutionary leaders influencing our culture today and has been described as a ”teachers teacher” by the nationally renowned, dynamic spiritual leader Michael Bernard Beckwith. Suzi is also a composer and an award winning pianist. Her music has been described as “musical poetry”. Suzi is married to inspirational singer / songwriter Jami Lula and together they facilitate transformational trips around the world, having recently led groups to Bali, Australia and Greece. She is mom to their joyful and creative son, William.